American child actor. His father, Edward, was born in San Francisco, CA and his mother, Mar Shee Tai, in China. The dad was a cook variously for restaurants and private families and eventually owned his own restaurant. The entire family owned and operated a grocery store for many years. A few sources give his day of birth as 12 September. If one substitutes the letter "S" for the letter "Q" in his name, it comes out "Suey". 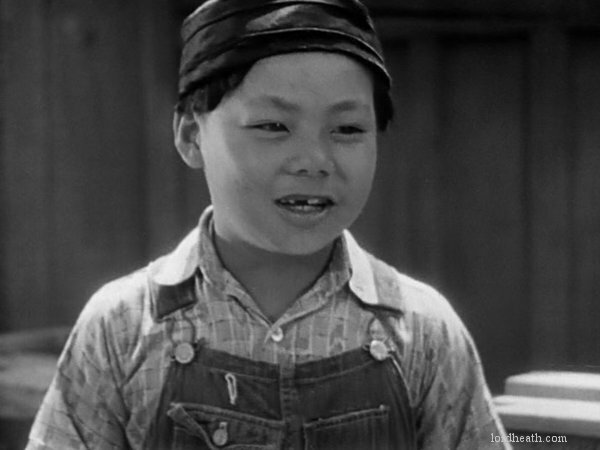 This error was propagated in a 1929 newspaper blurb explaining his name: "LA Times" 1929 Apr 9 p.11: ~ "TWO-NAME YOUTH CAST: Allen Dong or Hong Suey, take your choice, a 6-year-old Chinese boy, is to appear in "The Insidious Dr. Fu Manchu." which Rowland V. Lee is directing, with Warner Oland in the title role. Allen Dong is his American name-- Hong Suey, his Chinese. Allen, or Hong, plays the part of Warner Oland's son." Neither the IMDb nor Wikipedia list Allen as a credited or non-credited actor for this 1929 film, "The Mysterious Dr. Fu Manchu". The Feb.1942 Draft Card says he has no middle name. His adult height is given as 5'6" in his Aug.1942 US Army enlistment and 5'7" on his Feb.1942 "Young Men's Draft Card" and his Lincoln High School records. A 1938 newspaper blurb about his HS football team says: "LA Times" 21 Sep. 1938 p.34. ~ "Allen Dong, tough Chinese boy who weighs 190 despite the fact that he stands just 5ft. 7in., is expected to be a riot again at guard....". His adult weight is listed on records from 190 to 216 pounds over a 4 year period. Bob Demoss's website "The Lucky Corner" lists his name as Allen Tong.